Our February Page to Screen Movie is Amistad which is based on the nonfiction book, “Mutiny on the Amistad”, written by Robert Jones. 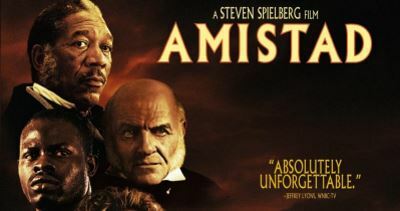 The fiction book titled Amistad, by David Pesci was written from the movie. La Amistad was a slave ship that was overtaken by the slaves on-board in July 1839.